- Updated February 24th, 2019. Shipmate Thomas Burns also has crossed the bar. There currently are no details available for visitation and/or services. Please follow up directly with the Club for details. Thank you. Fair winds and following seas shipmate, we have the watch from here. - February 20th, 2019. Shipmate Delbert "Sonny" Hill passed away peacefully on Wednesday, February 20th, 2019 surrounded by his family. Beloved husband of Betty. Loving father of Wendy and Bob (Carol). He leaves behind 5 grandchildren Evan, Jason, Robert, Bryan, Dylan and 2 great granddaughters Toni and Maddelin. Sadly missed by his sister June. Predeceased by his siblings Laureen, Betty and Calvin. Visitation will be held at the OSHAWA FUNERAL HOME, 847 King Street West (905-721-1234) on Monday, February 25th from 2 – 4 and 6 – 8 p.m. Funeral Service will be held in the chapel on Tuesday, February 26th at 11:00 a.m. Memorial donations to the Canadian Diabetes Association would be appreciated. Online condolences may be made at www.oshawafuneralhome.com. https://www.dignitymemorial.com/en-ca/obituaries/oshawa-on/delbert-hill-8180536. Fair winds and following seas shipmate, we have the watch from here. - May 9th, 2018. Shipmate Joy Marie Steel has crossed the bar. Passed away peacefully at Lakeridge Health Oshawa, in her 93rd year. Joy had been in the Women’s Royal Navy in England and she was a member of the Canadian Naval Association. Beloved wife of the late Desmond Steel. Loving mother of Richard Steel (deceased), Carol Greensmith (deceased), Marie Powell (Christopher), Elizabeth Giftopoulos (deceased), son in law Peter Giftopoulos and Joanne Yordanou (Louis). Cherished nanny of 11 grandchildren and 17 great grandchildren. Will be lovingly remembered by nieces, nephews, family and friends. Memorial donations to the ALS Society of Canada would be appreciated. To place an online condolence please visit www.armstrongfh.ca. Fair winds and following seas Joy, we have the watch from here. - January 5th, 2018. Victoria Ramsey, wife of Shipmate Don Ramsey has crossed the bar. Details are currently not available. Please contact the Club for additional information. Fair winds and following seas Vickie, we have the watch from here. - January 4th, 2018. Shipmate Doug Bullock has crossed the bar. Details are currently not available. Please contact the Club for additional information. Fair winds and following seas shipmate, we have the watch from here. - January 1st, 2018. Shipmate Myrtle Carey has crossed the bar. Passed away peacefully at Hillsdale Terraces on Monday January 1, 2018, in her 90th year. Beloved wife of the late Ivor Carey. Loving mother of Marleen Cooper (Ron), Heather Adair (Tom) and Jeff (Faye). Cherished Little Nanny of 9 grandchildren and 14 great grandchildren. Survived by her sisters Pearl, Violet, Carol and Lois. A special thank you to the staff at Hillsdale Terraces on Lighthouse Lane and Dr. Roy for all their care and compassion. Fair winds and following seas shipmate, we have the watch from here. A Memorial Service will be held at the Armstrong Funeral Home, 124 King Street East, Oshawa on Sunday January 7th at 1 pm. Visitation will be held one hour prior to service time from 12pm – 1pm. Memorial donations to the Alzheimer Society or the Canadian Cancer Society would be appreciated. For online condolences please visit www.armstrongfuneralhome.net. - August 29th, 2017. Shipmate Marion Budgell has crossed the bar. Many of us knew Marion simply as "Grandma" and/or "Gramma" and would see her attending many dart venues and social gatherings in and around Oshawa. Mother to ONVC Shipmate Penny Humby (Shipmate Carl Humby) and grandmother. She will be missed by many. Fair winds and following seas shipmate, we have the watch from here. Visitation/arrangements are at the Oshawa Funeral Home (847 King St W, Oshawa), viewing will be Thursday, August 31st at 2:00 PM - 4:00 PM and 7:00 PM - 9:00 PM and the service will be Friday, September 1st at 11:00 AM. - July 15th, 2017. Shipmate Robert "Bob" Bonnetta has crossed the bar. Bob's obituary: "At last to join his loving partner and best friend "Rennie", he passed away peacefully with his loving family by his side at Lakeridge Health Oshawa on July 15th, 2017 in his 70th year. Loving father to Kevin (Kimm) and Michelle. Family and friend to Laurie (Jeff), Jodi (Kevin) and Tracey (Ralph). Papa to Kallie, Hunter, Rebecca-Joye, Krystal, Rachelle, Riley, Emilia, Reanne, Dawson and Great-Grandfather to Myla and Elli. Longtime member of the Oshawa Navy Club. He will be greatly missed by his 4 legged friend Bailey. As per Bob's wishes there will be no formal service and a private family ceremony will take place at a later date. Arrangements entrusted to the OSHAWA FUNERAL HOME, 847 King Street West (905-721-1234). Memorial Donations would be greatly appreciated to the Lakeridge Health Foundation - Cancer Care. ". Fair winds and following seas shipmate, we have the watch from here. You may also Click here for details. - June 24th, 2017. Shipmate Sharron Connolly has crossed the bar. Sharon's obituary: "Passed away at Lakeridge Health Hospital on Saturday, June 24th, 2017, in her 71st year. Predeceased by her husband Gerry, brothers Stan and Rob and sister Shirley. Survived by her brother Sam and sister Cathy. Dearest mother of Scott (Lorraine), Danny (Rosa), Kathy (Ron) and Kasey (Kevin). Proud grandmother of Nicholas, Rebecca, Amelia, Jack, Erik, Justin and Dylan, and proud great-grandmother of Peyton. Sharon will also be remembered by her many nieces, nephews and friends. A Celebration of Life will be held on Saturday, July 29th at the OSHAWA NAVY CLUB, 320 Viola Avenue, Oshawa from 2 – 5 p.m. Memorial donations to Ian Anderson House (Phone: 905-337-8004, P.O. Box 61034, 511 Maple Grove Dr., Oakville, ON L6J 7P5) info@ianandersonhouse.com would be appreciated.". Fair winds and following seas shipmate, we have the watch from here. You may also Click here for details. - April 4th, 2017. Shipmate Leonard (Len) Stevens has crossed the bar. Len's obituary: "Passed away peacefully at home on April 4, 2017 at the age of 75. Loving father to his three girls, Jennifer (Stephen), Jeanine (Glen) and Julie( Matt). Proud papa to Zachary, Stewart, Joshua, Sarah, Emily, Kate, Breanna, Emma, Gavin and Hannah. Predeceased by his partner, Muriel James. Leonard will be dearly remembered by all of his extended family and friends. Resting at ARMSTRONG FUNERAL HOME (124 King St. E., Oshawa) with visitation to take place on Friday, April 7 from 3-5 and 7-9pm. Service to be held in the funeral home chapel on Saturday, April 8 at 11am. Interment in Napanee, Ontario. If desired, memorial donations to the Heart and Stroke Foundation are greatly appreciated.". Fair winds and following seas shipmate, we have the watch from here. You may also Click here for details. - November 29th, 2016. Shipmate Heather Thompson has crossed the bar. Heather's obituary: "With profound sadness we announce the passing of our beautiful mom at her home in Oshawa. Loved Mother of Stephanie Hollingsworth and her children Alivia and Landen, Kristen Hollingsworth and her husband Mike and children Natalie and Hannah and Stacey Sherriffs and her husband Donny and children Ryley and Dorothy. Heather will be fondly remembered by her former husband Brad. Dear sister of David Thompson and his wife Lynda of Hamilton. Heather will be missed by Steve, her companion Muggins nieces and nephews as well as many close friends and family. Pre-deceased by her parents Earl and Dorothy Thompson. Visitation at Barnes Memorial Funeral Home, 5295 Thickson Rd. N. Whitby from 1:00 p.m. Tuesday until time of memorial service in the Barnes Chapel Tuesday afternoon (December 6th) at 2:00 p.m. In memory of Heather memorial donations to SickKids Foundation would be appreciated." Fair winds and following seas shipmate, we have the watch from here. You may also Click here for details. - November 27th, 2016. Shipmate Norman Chalmers has crossed the bar. Service to be held on Tuesday, November 29th at 11:00 AM at the Giffen-Mack Funeral Home, 2570 Danforth Ave, Toronto, Ontario, M4C 1L3, telephone number (416) 698-3121. You may also Click here for details. Fair winds and following seas shipmate, we have the watch from here. - November 26th, 2016. Shipmate Don Stewart. Peterborough Hospital. - May 4th, 2016. ONVC Shipmate Paul "Colonel" Sander has crossed the bar. SANDER, Paul Douglas - Passed away after a courageous battle with cancer at Lakeridge Health Bowmanville on Wednesday May 4, 2016 at the age of 60. Beloved husband of Colleen for 32 years. Loving father of Christy and Holly. Cherished grandpa of Breanna and Blake. Lovingly remembered by his sister Susie (Raymond). A Memorial Service will be held at ARMSTRONG FUNERAL HOME, 124 King Street East, Oshawa on Monday May 9th at 2pm. Visitation will be held one hour prior to service time. Memorial donations to the Canadian Cancer Society or the Heart and Stroke Foundation would be appreciated. For online condolences, please visit armstrongfuneralhome.net. - March 29th, 2016. Shipmate Glen "Fred" Fenton. Room 7109. Lakeridge Health Oshawa. - March 29th, 2016. Shipmate Sharon Connolly. Lakeridge Health Oshawa. - March 9th, 2016. RCNA Shipmate and RCNA National Vice President and National Membership Chair John Robert Chapman has crossed the bar. John Roger Chapman passed away suddenly on March 9, 2016 at the age of 83 years. He leaves to mourn his beloved wife of 59 years, Suzanne; loving family, Carol (Mel), Janet, John, Mark (Laury) and Timm (Molly) and three grandchildren, Michael, Aurora and Hunter. John joined the Navy in 1950 and was a veteran of the Korean War. He will be dearly missed and forever remembered. In lieu of flowers, donations can be made in John's memory directly to The Lung Association, Alberta & NWT, P.O. Box 4500, Station South, Edmonton, AB T6E 6K2. Messages of remembrance may be left for the family at www.southcalgaryfuneralcentre.ca . - February 22nd, 2016. ONVC Shipmate Desmond "Des" Steel has crossed the bar. 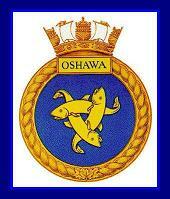 Canadian & British Navy Veteran, as well as a proud member of the Oshawa Navy Club. Passed away peacefully at home after a lengthy battle with COPD, on Monday February 22, 2016, in his 90th year. Loving Husband of Joy for 69 years. Cherished Father of Carol, Marie (Christopher), Joanne (Louis), the late Richard, and the late Elizabeth (Peter). Granddad of 11 grandchildren and 16 great grandchildren. Friends may call at the ARMSTRONG FUNERAL HOME Oshawa 905-433-4711, for Visitation on Monday February 29th from 7pm until 9pm. Funeral Service will be held in the chapel on Tuesday March 1st at 11am. Memorial donations are greatly appreciated to the ALS Foundation. To place online condolences, please visit www.armstrongfuneralhome.net. - January 13th, 2016. ONVC Shipmate Jack Craighead has crossed the bar. Peacefully at home on Wednesday, January 13, 2016 in his 92nd year. Jack Craighead, beloved husband of the late Esther Hunter and the late Jean Mary Badour. Dear father of Margaret (Robert Rice), Carol (Bill Little) and Gary Craighead (Sherry). Dear step-father of Valerie (Tony Buxcey), Melodie (Paul Marlow), Edward Heayn (Patricia), the late William Heayn (Vicki) and David Heayn (Carol). Dear brother of the late Alexander McLean (the late Rita). Lovingly remembered by his grandchildren Rodney, Shawn, Aaron, Adria, Mandy and Krystin. Sadly missed by his step-grandchildren Tony, Darrell, Tonya, David, Jamie, Amber, Spencer and Joshua. Jack was an employee of General Motors, retired July 1, 1980. He was a Naval Veteran, having served for 3 years in the North Atlantic and Pacific as a Gunner aboard Merchant Ships (DEMS). He was a member of the Oshawa Naval Vets Association, the Port Perry Legion, and the General Motors Retiree Salaried Association. He was a former officer with the Smith Falls Police Department as well as the O.P.P. Resting at Low and Low Funeral Home, 1763 Reach Street, Port Perry (905-985-7331) on Monday, January 18, 2016 from 12:00 – 1:00pm. Funeral Service in the Chapel at 1:00pm. Interment Pine Grove Cemetery. In memory of Jack, please consider a donation to the Lakeridge Health Oshawa Cancer Unit. You may also Click here for details. - January 5th, 2016. ONVC Shipmate Frank Mozic has crossed the bar. (WWII Veteran and General Motors Employee of 31 years). Passed away quietly on Tuesday, January 5th, 2016 at the age of 90, surrounded by his family and friends at Lakeridge Health Oshawa. Predeceased by his brother Eddie and wife Margaret. Proud father to Sandra Dunham and Laura Smallman. Grandfather to Joshua, Jeremy, Daniel and Julia, and great grandfather to Hayden and Ethan. Our gratitude and thanks to his close friends, Heather Taylor, Maggie and Jack Doshen, the nurses, doctors and staff on 4F who provided him with end of life care with grace and dignity. Visitation will be held at OSHAWA FUNERAL HOME, 847 King Street West (905-721-1234) on Monday, January 11th from 10:00 a.m. until time of Funeral Service in the Chapel at 11:00 a.m. Entombment Resurrection Cemetery, Whitby. You may also Click here for details. - December 28th, 2015. Past President and ONVC Shipmate Robert "Bob" McBurnie has crossed the bar. (WWII Veteran, Member of the Royal Canadian Legion - Branch 637, Royal Canadian Naval Association and the Masonic Lodge). Peacefully at Lakeridge Health Oshawa on Monday, December 28th, 2015, at 90 years of age. Beloved husband of Doreen for 65 years. Cherished father of Robyn, Dan, the late Norman and Doug. Loving grandfather of Jessica and Derek, Virginia and Phillip, Greg and the late Rob. Predeceased by his sister Kay Paddon. He will be fondly remembered by his extended family and many friends. Visitation will be held at the OSHAWA FUNERAL HOME, 847 King Street West (905-721-1234) on Wednesday, January 6th from 2 – 4 and 7 – 9 p.m. Funeral Service will be held in the Chapel on Thursday, January 7th at 1:00 p.m. Interment Mount Lawn Cemetery. Memorial donations to the Heart and Stroke Foundation would be appreciated. You may also Click here for details. - December 7th, 2015. Shipmate Robert "Bob" James Crawford has crossed the bar. Peacefully, at Lakeridge Health in Oshawa, on Monday, December 7, 2015, with family by his side, in his 76th year. Beloved husband of Betty Doyle. Loving father to Rob. Adoring Papa of Lauren, Gwen and Grace. Lovingly remembered by his step-children Jason (Pam) and Jenna (Brian). Remembered by his sister Joan and Fred Monpetite. Bob will be missed by his extended family Pat, Kyle and Jewel. A special thank you to all the Doctors, Nurses and Staff at Lakeridge Health Oshawa for all their care and compassionate support. Cremation has taken place with a private family service. Donations made in memory of Bob to the Canadian Cancer Society or the Heart and Stroke Foundation would be appreciated by his family. Online condolences may be made at makfuneralhome.com. - November 21st, 2015. Shipmate Ab Chemlowsky. 5th floor 5C, Room 75. Lakeridge Health Oshawa. - September 20th, 2015. Shipmate Louis Majoros has crossed the bar. Passed away peacefully after a short, but valiant battle with cancer at Lakeridge Health Oshawa on September 20th, 2015. Much loved husband and soulmate of Lynn for 59 years, who dearly cherished this amazing lovable gentle man. Dedicated dad of Shawn (Sandra), Darren, and Jodi-Lynn (Don). Proud Grampa of Drake (Laura), Michael, Jeremy, Tyler, Angela and Daniel. Happy to be the great-grandfather of Lilyann. Loving brother-in-law of Dean Douglas. Adored uncle of Caroline and Steven. As a young man, Lou was honoured to serve in the Canadian Navy for 5 years, followed by a successful career as an electronic technician and outstanding sales manager with Andrew Antenna Canada. Lou was a dedicated family man who enjoyed coaching baseball and refereeing high school football for 20 years. He travelled extensively worldwide. He was also an accomplished musician, playing violin in the Concordia Pops and Hungarian Gypsy Orchestra. Lou enjoyed several years of good times skiing with the family at the chalet in Beaver Valley. He was very giving of his own time, giving back to his community, being in Kiwanis Club and driving the Senior Citizens Bus. In his later years he enjoyed golfing and socializing at his winter home in Old Bridge Village, Florida. Many lives were positively impacted by this man. Visitation will be held at OSHAWA FUNERAL HOME, 847 King Street West (905-721-1234) on Tuesday, September 22nd from 2 – 4 and 7 – 9 p.m. The family invites friends to a Memorial Service to celebrate Lou's Life in the Chapel on Wednesday, September 23rd at 2:30 p.m. The family would like to extend their sincere appreciation for the support of Westminster United Church. In lieu of flowers, memorial donations to Westminster United Church would be greatly appreciated. - May 18th, 2015. Shipmate Michael Wodnisky has crossed the bar. The Club offers its deepest condolences to Wodnisky family. No details as of yet. Fair winds and following seas, we have the watch from here Shipmate. RIP. There will be no service. A "Celebration of Life" will be held at the Oshawa Navy Club on Saturday, May 30th between 1:00 PM to 4:00 PM on the Club's Lower Deck . Armstrong's Funeral Home Obituary is as follows: "Wodnisky, Michael William – Passed away suddenly at home in Oshawa on Monday May 18, 2015 at age 59. Beloved son of Mary and the late William Wodnisky. Husband of the late Kathy. Michael was an active member of the Oshawa Navy Club for over 20 years. A Celebration of Life will be held at the Oshawa Navy Club, 320 Viola Street, Oshawa on Saturday May 30, 2015 between 1 – 4 pm. Memorial donations to the Heart & Stroke Foundation or the Hospital for Sick Children would be appreciated, and may be made by visiting www.armstrongfuneralhome.net." You may also Click here for details. - April 12th, 2015. Shipmate Ted Cassidy has crossed the bar. Funeral services for Ted is this Thursday, April 16th at Armstrong Funeral Home located at 124 King Street East. Family at 10:00 AM, friends at 11:00 AM and service at 12:00 PM. Refreshments to follow at the funeral home. Fair winds and following seas. RIP. Obituary: It is with great sadness the family announces the passing of our father, Veteran, longtime member of the Canadian Corps, Legion and the Navy Club Colour Guard. Survived by his children, Ed (Julie) Cassidy, Victoria Cassidy, Lisa Clarke, Lori Hellam (Jason) and John-Edward Cassidy (Mary). Dear brother of Frank (Joan), Bill (Joy) and George (Pat). He will be truly missed by his many nieces, nephews, grandchildren and Friends. For those who knew Ted we will miss his fun loving attitude. Friends may call at ARMSTRONG FUNERAL HOME, 124 King Street East, Oshawa on Thursday April 16, 2015 from 11 a.m. till service time at noon. In lieu of flowers to the Alzheimer’s Society would be greatly appreciated by the family. For online condolences please go to www.armstrongfuneralhome.net. - March 1st, 2015. Shipmate Sam Perks. 6th floor, Room 649. Lakeridge Health Oshawa. - February 9th, 2015. Shipmate Patrick W. Chappell Jr. (Retired 27 year Teacher of Central Collegiate) At Lakeridge Health Oshawa on Monday, February 9th, 2015, at the age of 64. Beloved son of Patrick and Jean Chappell. Dear husband of Dianne for 40 years. Loving father of Stacey (Derek Allen). Brother of Dan (Debbie) and Rick (Debbie). Brother-in-law of Real Vautour, Cathy Huberg (Rein), Rose-Ella Henry (Ian) and Stella Smith (Jeff). Pat will be lovingly remembered by his many aunts, uncles, nieces, nephews, extended family and friends. Visitation will be held at OSHAWA FUNERAL HOME, 847 King Street West (905-721-1234) on Thursday, February 12th from 2 – 4 and 7 – 9 p.m. Funeral Service will be held in the Chapel on Friday, February 13th at 11:00 a.m. Memorial donations to SickKids Foundation or a charity of your choice would be appreciated. - January 10th, 2015. Shipmate Douglas McBurnie crossed the bar. Passed away peacefully on Saturday January 10th 2015 at Lakeridge Health Oshawa. Beloved husband of Anne Belli. Loving father to Gregory and predeceased by Robert. Dear brother of Robyn, Daniel and predeceased by Norman. Proud uncle to Jessica (Derek) and Virginia. Douglas’ family would like to thank Jack, Rob, Doug, Laila and Linda for being such caring friend’s in their time of need and to the staff at Lakeridge Health Oshawa cancer centre, for their compassionate care. Douglas will be missed by many friends and relatives. Resting at the ARMSTRONG FUNERAL HOME, 124 King Street East, Oshawa on Thursday January 15 from 12 – 1. A funeral service will be held in the Chapel immediately following at 1 pm. In Lieu of flowers memorial donations to the RS McLaughlin Cancer centre would be appreciated and may be made along with condolences, by visiting armstrongfuneralhome.net. - December 18th, 2014. Shipmate Rick Kenedy. G Wing, Room 9106. Lakeridge Health Oshawa. - December 14th, 2014. Shipmate Peter Rudka crossed the bar. Retired 43 year Employee of General Motors of Canada, Veteran WW11, R.C.A.S.C. in Italy & Germany, Member of Canadian Legion Branch 43 and Oshawa Naval Veteran's Club, 75 years Oshawa Generals Season Ticket Holder. Peacefully at Lakeridge Health – Bowmanville on Thursday, December 11th, 2014 at the age of 93. Beloved husband of Helen (nee Bulkowski) for 67 years. Dear father of Gary, Robert (Sharri), Patricia MacQueen (Brian) and James. Loving Grandpa/Gigi of Tracie, Jodie, Amber, Shane, Damian and Emily and great grandfather of Jordan, Bryce, Kolson, Easton, Hayley and Alexis. Brother of the late Mary Jacula, Michael Rudka, Helen Malachowski and John Rudka. Peter will be lovingly remembered by his extended and friends. Visitation will be held at OSHAWA FUNERAL HOME, 847 King Street West (905-721-1234) on Monday, December 15th from 6 – 8 p.m. Funeral Mass will be held at ST. GERTRUDE CATHOLIC CHURCH (690 King Street East, Oshawa) on Tuesday, December 16th, at 11:00 a.m. Interment at Resurrection Cemetery. Memorial donations to the Heart & Stroke Foundation will be appreciated. - November 28th, 2014. Shipmate Carol Sagar crossed the bar. Peacefully after a year long battle with cancer at Lakeridge Health Oshawa on November 28th, 2014, at the age of 64. Beloved sister of Jeannie, Glady (Ron), the late Norma and the late Lillian. Cherished aunt of Liz, Randy, Curtis and Ronnie. Fondly remembered by her great nieces and nephews. Carol will be dearly missed by her best friend Barb. A special thank you to the nursing staff at Lakeridge Health Oshawa - Palliative Care. Memorial Visitation will be held at OSHAWA FUNERAL HOME, 847 King Street West (905-721-1234) on Wednesday, December 3rd from 10:00 a.m. until time of Memorial Service at 11:00 a.m. In lieu of flowers, donations to the Alzheimer Society or the Canadian Cancer Society would be appreciated. - November 20th, 2014. Shipmate Don Wilson crossed the bar. Don was a long time Member of the Oshawa Navy Club (43 years). Over this time, he not only volunteered for our Club as a Colour Guard and Colour Party Member, he also volunteered his time and efforts to his community including his annual Terry Fox run/walk to combat cancer. Don lost his own personal battle with cancer this last Thursday. Fair winds and following seas Shipmate, we have the watch from here. R.I.P. Visitation is Wednesday, November 26th, 2014, 2:00pm - 4:00pm and 7:00pm - 9:00pm and service is Thursday, November 27th, 2014, 11:00am, all will be held at Armstrong Funeral Home, 124 King St. E., Oshawa, ON. You may also Click here for details. - August 29th, 2014. ONVC 2nd Vice President and Shipmate Florence Tillson crossed the bar. We have no other details at the time of this posting, please verify directly with the Club for details. Fair winds and following seas shipmate. R.I.P. Information received September 1st. Visitation is Wednesday, September 3rd from 2:00 PM to 4:00 PM and 7:00 PM to 9:00 PM at the Newcastle Funeral Service. Service on Thursday, September 4th at 1:00 PM at the Orono United Church. Please contact the Club for further information. Florence, wife of the late Bruce Tillson, passed away peacefully on Friday, August 29, 2014 at Lakeridge Health Bowmanville after a courageous battle with cancer. She is survived by her sons Norman and his wife Jane Ann, Duncan and his wife Doreen, Donald and his wife Dorothea. Predeceased by her son Stewart and her brother James Wright. She also leaves behind her chosen daughter Linda and her husband Tony and chosen sister Carolyn. Sadly missed by many grandchildren, great-grandchildren, nieces, nephews and friends. A memorial service will be held on Thursday, September 4th at 1pm at Orono United Church, 111 Church St., Orono. - August 5th, 2014. Shipmate Don Wilson, Lakeridge Health/Oshawa General Hospital. "C" Wing, 6th Floor, Room 57. - August 5th, 2014. Shipmate Florence Tillson, Lakeridge Health/Bowmanville Hospital, NV (no visitors). - June 19th, 2014. ONVC Shipmate Francis Beacock crossed the bar. "Frank", member since 1957 and former ONVC Colour Guard Member passed away on June 19th in his 90th year. Frank passed away after a courageous short battle with cancer on Thursday, June 19th, 2014, at Lakeridge Health Oshawa with friend Mavis Weeks by his side. He leaves behind his son Robert of Oshawa. Predeceased by his wife Josephine. Frank was born in Wiarton, Ontario on November 22nd, 1924 and joined the Army on June 11th, 1940, after 1945 he served on tankers and travelled the world, later working as a transport driver in Oshawa. Frank was an active member of the Canadian Corps, Oshawa Navy Club and Legion Br. 43. At Frank's request cremation has taken place and a celebration of his life will be held at a later date. Sincere thanks to the staff of Lakeridge Health Oshawa for their care and support. Arrangements entrusted to OSHAWA FUNERAL HOME, 847 King Street West ( 905-721-1234 ). Donations in Franks name would be greatly appreciated for the Lakeridge Health Foundation – Cancer Care. Online condolences may be made at oshawafuneralhome.com. Fair winds and following seas shipmate. R.I.P. - May 19th, 2014. Shipmate Don Wilson, Lakeridge Health/Oshawa General Hospital. - May 11th, 2014. Shipmate Frank Beacock, Lakeridge Health/Oshawa General Hospital. - April 28th, 2014. Shipmate Carol Sagar, Lakeridge Health/Oshawa General Hospital, C Wing, Room 723. - April 18th, 2014. Shipmate Florence Tillson, Lakeridge Health/Bowmanville Hospital, Room 208. - April 10th, 2014. Past President and ONVC Shipmate Ivor Carey crossed the bar. CAREY, Ivor Frank (served with the Royal Canadian Navy, member of the Navy Club) – passed away at Lakeridge Health Corporation, Oshawa on Thursday April 10, 2014 at the age of 86. Beloved husband of Myrtle. Loving father of Marleen (Ron Cooper), Heather (Tom Adair) and Jeff (Faye Carey). Lovingly remembered by his 9 grandchildren, 12 great-grandchildren, 1 sister and 4 brothers. Resting at the COURTICE FUNERAL CHAPEL, 1587 Highway 2 Courtice ( 905-432-8484 ) where the family will receive friends on Monday April 14, 2014 from 1-2 p.m. A Memorial service will be held in the chapel on Monday April 14, 2014 at 2 p.m. In lieu of flowers, memorial donations to the Heart and Stroke Foundation or the Lakeridge Health Hospital-Cancer Centre would be appreciated. Fair winds and following seas shipmate. R.I.P. - January 14th, 2014. Former ONVC Shipmate Herbert Duvall crossed the bar. (108th Past District Deputy Grand Master, Ontario District of the Grand Lodge A.F. and A. M. of Canada). Herb just received his 50-year Past District Deputy Jewell on Thursday, January 9, 2014. Peacefully at Lakeridge Health Bowmanville on Tuesday, January 14, 2014 in his 93rd year. Herbert, beloved husband of 59 years to the late Eira Joan Duvall. Loved father of John Duvall and his wife Pam and Joan and her husband Blain Moffat. Loved grandfather of Cheryl & Jeff Duvall (Katie) and Michelle (Craig) & Christopher Moffat (Jessica) and great-grandfather of Jaxon. Dear brother of the late Gerald Duvall and his wife Jean. Dear brother-in-law of Howard Toaze (Gwen), Grace Thompson (Don) and the late Kathryn Kennedy, Eileen Andrews and Nelson Myles (June). Lovingly remembered by many nieces and nephews. Friends may pay their respects at the MORRIS FUNERAL CHAPEL, 4 Division St., Bowmanville on Friday, January 17th from 2 – 4 and 7 – 9 p.m. Masonic service in the MORRIS CHAPEL on Friday January 17th at 6:30 p.m. Funeral service from Orono United Church, Orono on Saturday, January 18th at 2 p.m. Spring Interment Orono Cemetery. Donations in Herbert’s memory to Orono United Church or the CHARITY of your choice would be gratefully appreciated. "Herb" joined the Club in 1989. He also served with the RCN in WWII aboard the HMCS Bowmanville. We thank you for your service "Herb". Fair winds and following seas shipmate. R.I.P. - January 4th, 2014. Former ONVC Shipmate Paul Hoskin crossed the bar. Peacefully at Lakeridge Health Oshawa on January 4, 2014, in his 66th year. Beloved husband of Chris (Simkin). Loving father of Steve (Isabelle) and Kevin (Barb). Predeceased by his parents Mary and John Hoskin. Brother of Laura Prosser (Dave), David, John and the late Peter. Beloved cousin of Wayne Hoskin (Linda) and Brian Hoskin (Lynn). Friends may call at MOUNT LAWN RECEPTION CENTRE, 21 Garrard Road, Whitby (north of Hwy.2) 905-443-3376 on Thursday, January 9, 2014, from 7-9 p.m. Service in the Chapel Friday, January 10, 2014, at 11 a.m. Family would like to thank the staff of the Stroke Rehab Unit and and Critical Care Unit of LHO. In lieu of flowers donations may be made to the Lakeridge Health Foundation Critical Care or Rehab Unit. We will miss his smile and the twinkle in his eye. - December 5th, 2013. Shipmate Thomas Hopkins “Tom” Hammond (WWII Veteran), crossed the bar. Passed away peacefully at the P.R.H.C. on Thursday December 5, 2013. Tom Hammond of Buckhorn in his 89th year. Tom served his country during World War II in the Royal Canadian Navy on the HMCS Longueuil. He was a member of the R.C.L. Branch #77 Lakefield and the Oshawa Navy Club. Loved and missed by his wife Pauline of Buckhorn. Also sadly missed by his daughters Deborah Hammond (Tom Warner) of Regina, Kathryn Loverock (Eric), Linda Bradica (Barney) and Carol Green (Drew), all of Oshawa. Dear grandpa of Craig (Leslie), Tasha (Yuri), Carson (Jessa), Tammy (Jason), Trisha (Brad), Jamie (Jen), Shelley (Chris), Carolann (Rob), Sam (Debbie) and Rob (Angela). Dear Poppa Tom of Hope, Kyeran, Bria, Christian, Carli, Bradley, Reid, Matthew, Jadie, Garrett, Gavin, Zachary, Rachel, Krista, Alex, Danielle and great great grandson Brayden. Remembered by his brother Ernie Hammond (Lillian) of Toronto, sisters Muriel Moore (Alan) of Bobcaygeon, Kathleen Runciman (The late Earl) of Oshawa, sister-in-law Eleanor Vaillancourt of Oshawa and many nieces and nephews. Predeceased by his parents Maryann and Tom and by his brother Bucky. A Royal Canadian Legion Memorial Service will be held at THE HENDREN FUNERAL HOMES, LAKEFIELD CHAPEL on Monday December 9, 2013 at 11:00 AM followed immediately by a funeral service in the chapel. A reception will follow at the Royal Canadian Legion in Lakefield. Memorial donations may be made to R.C.L. Branch #77 Lakefield Building Fund as expressions of sympathy. Friends may send condolences by contacting the funeral home at www.hendrenfuneralhome.com or by calling 705-652-3355. For more information about this obituary visit http://www.hendrenfuneralhome.com. - November 23rd, 2013. Evelyn Smith, crossed the bar. Former ONVC Shipmate, mother of Shipmate Larry Smith, sister of Shipmate Donald Wilson and aunt of Shipmate Rick Wilson. "Peacefully at Rouge Valley Health Ajax on November 23, 2013 at the age of 84. Beloved wife of the late Sydney Smith. Loving mother of Larry. Sister of Don. Treasured Aunt of Rick and Patrick. Long time member of the Oshawa Navy Veterans Club. Relatives and friends may call at McINTOSH-ANDERSON-KELLAM FUNERAL HOME LTD., 152 King Street East, Oshawa ( 905-433-5558 ) on Wednesday from 2:00 to 4:00 PM and 7:00 to 9:00 PM. Service will be held in the chapel on Thursday November 28th at 11:00 AM. Donations in Evelyn’s memory may be made to Canadian Cancer Society or Salvation Army. Online condolences may be made at makfuneralhome.com." Click here for Facebook image. - September 8th, 2013. Shipmate Ted Cassidy. EXTENDACARE. - Announced on Sunday, September 8th, 2013. Shipmate Gordon Baker crossed the bar. Fair winds and following seas shipmate. R.I.P. Gord. - May 5th, 2013. Shipmate Pat Chappell, now home. - April 23rd, 2013. Shipmate Pat Chappell, Toronto General Hospital. - April 10th, 2013. Shipmate Floyd Trowsse, crossed the bar. (G.M.C. Retiree and C.A.W. Member for 43 years) Passed away peacefully at Lakeridge Health Oshawa on Wednesday, April 10th, 2013, in his 77th year. Beloved husband of Ronnie (nee Mahoney) for 53 years. Loving Dad of Debby (Greg Kryhul) and Bryant (Jennifer). Loving Papa of A.J., Bryant, Shannon, Paul, Ashley and Loralei. Dear brother of Maxine (deceased), Norine, Dyroll, Sandra, and Bryant (deceased). Great Grandad of Mackenzie and Peter. Visitation will be held at OSHAWA FUNERAL HOME, 847 King Street West (905-721-1234) on Friday, April 12th from 2 – 4 and 7 – 9 p.m. Funeral Service will be held in the Chapel on Saturday, April 13th at 1:30 p.m. Interment Resurrection Cemetery. Memorial donations to the R.S. McLaughlin Cancer Centre or a charity of your choice would be appreciated. Fair winds and calm seas Floyd, R.I.P. - March 18th, 2013. Shipmate Floyd Trowsse. Intensive Care Unit (ICU). - March 10th, 2013. Shipmate Sharon Connolly. Now at home from a serious fall. - December 18th, 2012. Shipmate Gordon Baker. EXTENDACARE. Room 51B. - September 12th, 2012. Shipmate Sandy Rutherford now back to work. - August 31st, 2012. Shipmate Pat Chappell, now home. - August 4th, 2012. Shipmate Pat Chappell, Oshawa General Hospital/Lakeridge, 5th Floor. - August 3rd, 2012. Shipmate Sandy Rutherford home from hospital, will be off for several weeks. - July 15th, 2012. Shipmate Howard Parker, crossed the bar. Passed away peacefully at Lakeridge Health Bowmanville on Sunday July 15, 2012. Beloved husband of Jackie for 67 years. Fondly remembered by his son Barry and his wife Lynda. Proud grandfather to Shawn and his wife Kim and Craig and his wife Leigh, and great grandchildren Aidan, Alyssa, Charlee and Sam. Howard served for 35 years in the Royal Canadian Navy and Reserve. The family will receive friends at the McEACHNIE FUNERAL HOME, 28 Old Kingston Road, Pickering Village, (Ajax), 905 428-8488 on Tuesday July 17th from 11a.m. to 1p.m. and from 5p.m. to 7p.m. A funeral service will be held in the chapel on Wednesday July 18th at 11a.m. Interment to follow at Erskine Cemetery. Memorial donations may be made to the charity of your choice. Fair winds and calm seas Howard, R.I.P. - May 10th, 2012. Shipmate Donald "Donnie" Edward Wannamaker, crossed the bar. Owner Bloor Auto – Peacefully surrounded by his loving family on Thursday May 10, 2012 at Lakeridge Health Oshawa at the age of 71. Donnie, beloved husband of Deborah. Cherished son of Faye and Des Hawley and the late Bobby Wannamaker. Deeply missed by his 4 legged love of his life “Rassy”. Much loved father of Lee Ann, Melissa (Brendon) and the late David Wannamaker (2002). Proud grandpa of Rebecca (Josh), Natasha, Alysha, Shawn D, David and Jamie. Lovingly remembered by his great-grandchildren , nieces and nephews. Dear brother of Barbara and her husband Lorie Muiccio, Donna Bell, Bonnie Wood, Leslie and her husband Dave Fitzpatrick, and the late Diane Normoyle (2007). Dear son-in-law of Shirley LaFleur, and brother-in-law of Brenda and her husband Al McWhirter. A Celebration of Donnie’s Life will take place on Sunday June 3rd from 2pm-5pm at the Navy Club, 320 Viola Street, Oshawa. In lieu of flowers memorial donations to the Humane Society would be greatly appreciated by Donnie’s family. Arrangements entrusted to the Armstrong Funeral Home, 124 King Street East, Oshawa (905-433-4711). Fair winds and calm seas Donnie, R.I.P. - May 5th, 2012. Shipmate Jacques (Jack/Kojack) Woods. Celebration of life to be held at the Canadian Corps. - March 30th, 2012. Shipmate William "Bill" John Askew, crossed the bar. Conductor of Bill Askew and his Orchestra; retired 48-year employee of General Motors; member of Centennial-Albert United Church, the Sydenham Kiwanis Club, the Ontario Regiment, the Oshawa Navy Veterans’ Club and the Royal Canadian Legion; recipient of the Oshawa Walk of Fame Award, the Oshawa Senior Citizen’s Award and the Mel Osborne Fellowship Award) At Lakeridge Health Oshawa on Friday, March 30th, 2012. Bill, in his 92nd year. Beloved husband the the late Millie. Loving father of Rick (Dee Third), Jan (Barbara), Joel (Mary Ann) and the late Shawn (Danuta). Fondly remembered grandfather of Kendra and husband Forrest Todd and their children Jase, Yael and Anthony; Jason, Carley, Michael and Tianna Lee; Zack and his son Jordan, Adam and Kristen; Joelene, Amanda, Samantha and Devon. Predeceased by his sister Florence Knox and brother Bruce Askew. Relatives and friends may call at McINTOSH-ANDERSON-KELLAM FUNERAL HOME LTD., 152 King St. E., Oshawa on Sunday from 7-9 p.m. and Monday from 2-4 and 7-9 p.m. Funeral services will be held on Tuesday, April 3rd, 2012 at 11:00 a.m. at the Oshawa Naval Veterans’ Club, 320 Viola Avenue (east of Ritson Rd. S.), Oshawa. Interment Mount Lawn Cemetery. Donations in memory of Bill to the Oshawa Navy Club would be appreciated. Online condolences may be made at www.makfuneralhome.com. Fair winds and calm seas Bill, R.I.P. - March 20th, 2012. Shipmate William (Bill) Stacey, crossed the bar. Veteran of Korean War, member of Legion Branch #637, Navy Club of Oshawa, President of Folk Arts Council, JCI Senator No. 222 and an avid bowler. Proud member of CAW retirees, retiring from General Motors in 1993. Bill was proud to honour our fallen soldiers and passed away peacefully at home surrounded by his family on March 20th 2012 in his 82nd year. Bill, beloved husband of Rhodessa Rebecca (Jewers) for 59 years. Loving father of Lynn (Oliver Murley), Richard (Sandra), Leona (Bill Baker), John (Micheline), George (Ashley Aldsworth), Alma (George Vaspori). Bill was the proud grandfather of William, Becky, Michael (deceased), Laura, Matthew, Quinn, Stacey, Samantha, Victoria, Katherine, Alexander, Chantal, Zachary, Landon and great-grandchildren Damian and Logan. Dear Uncle to Jim Peterson, Pat Kingsley and sons Brent (Sena) and Eric Piels and Sherri and Kevin Farrell and children Paeden, Taylor and Kennedy. Bill will be forever loved and remembered by many other extended family and friends. Friends may pay their respects at the MORRIS FUNERAL CHAPEL, 4 Division St., Bowmanville on Friday, March 23, 2012 from 2 – 4 and 7 – 9 p.m. Funeral service from ST. JOHN’S ANGLICAN CHURCH, 11 Temperance St., Bowmanville on Saturday, March 24, 2012 at 11 a.m. Cremation at Bowmanville Crematorium. Donations in Bill’s memory to Fallen Heroes Memorial Fund or St. John’s Anglican Church would be gratefully appreciated. Fair winds and calm seas Bill, R.I.P. - March 20th, 2012. Shipmate Howard Parker in hospital (Lakeridge). - February 21st, 2012. Shipmate John Hilton, crossed the bar. In his 78th year on Tuesday, February 21st, 2012, it is with sadness that the family announces the passing of our loving father. Long time member of the Oshawa Naval Veterans' Club and Canadian Corps Association. Loving husband to the late Doreen Hilton. He will be sadly missed by his children Peter Rines (Sharon), John Hilton Jr, Debbie McVey (Tom), Mary Chartrand, Elizabeth Hilton, Evelyn Hilton (Bob) and Ron Hilton (Trudy). Lovingly remembered by his grandchildren and great grandchildren. Sadly missed by his sisters Alice Blanchard and Katie Muise. Memorial donations to the Lakeridge Health, Oshawa Palliative Care would be greatly appreciated. A private funeral service will be held and a gathering will be held at the Canadian Corps, 142 Athol St., Oshawa on Tuesday, February 28, 2012 from 5-7 p.m. Fair winds and calm seas Floyd, R.I.P. - February 12th, 2012. Doug Sander, father of Shipmate Paul Sander. Crossed the bar. Viewing, Thursday, February 16th, 2:00 PM to 4:00 PM and 7:00 PM to 9:00 PM. Armstrong Funeral Home. Service on Friday, February 17th at 1:00 PM. - January 12th, 2012. Shipmate Jacques (Jack/Kojack) Woods. Crossed the bar. Passed away suddenly on Jan. 12th, 2012 in his 72nd year leaving behind his loving wife Marie Rowden and family, Mike, Angela, Rick and Vickie. Beloved brother/brother in law to Denise, Joseph, Clair, Emery, Andre, Jean-Guy, Madelian, Susan and Jean Luke. Jack will be missed by his nieces, nephews, grandchildren and friends. Special thanks to Randy and all the employees at Oshawa Tire and Auto and the many individuals who assisted Jack in his last moments. Private memorial. Fair winds and calm seas Jack, R.I.P. - November 1st, 2011. Shipmate Bill Stacey. Oshawa General Hospital / Lakeridge Health. C 55/5. - August 21st, 2011. Shipmate Kathy Wodnisky and wife of Shipmate Michael Wodnisky. Crossed the bar. Viewing, Armstrong Funeral Home, Thursday, August 25th from 7:00 PM to 9:00 PM. Funeral Service, Oshawa Union Cemetary, Friday, August 26th at 11:00 AM. Memorial at 12:00 PM on the Upper Deck of the Oshawa Naval Veterans Club. Suddenly at her home in Oshawa on Sunday August 21, 2011 at the age of 53. Kathy, beloved wife of Michael Wodnisky. Dear daughter in law to Mary Wodnisky. Loved mother of Lisa Gray and Kim Foreman. Dear sister of Lynda Trudgeon. Beloved grandmother to Tyler and Travis Gray. Beloved aunt to Cassidy and Michael. Dear mother in law to Scott Mitchell and Gord Foreman. Dear sister in law of “Mookie” Mitchell. Kathy will be deeply missed and fondly remembered by all of her friends at the Navy Club and her “Tugboat” family. In lieu of flowers, memorial donations to the Canadian Cancer Society or the Navy Club would be greatly appreciated by the family. Fair winds and calm seas Kathy, R.I.P. - July 8th, 2011. Betty Eleanor Graham, mother of Shipmate James Graham. Peacefully surrounded by her loving family at Lakeridge Health Bowmanville on Friday, July 8th, 2011 in her 86th year. Predeceased by her husband Everett Graham. Much loved mother of Rae and his wife Brenda, Jim and his wife Ellie and Bill and his wife Pat. Proud grandmother of Pam (Dan), Andrea (Aaron) B.J. (Lindsey), Jackie, Jeff (Erika), Kristin (Josh), Brad (Lindsay) and Lisa (Kevin). Cherished great grandma of Colton, Aidan, Caleb, Lilly, Emily, Dylan and Laken. Dear sister of Cora Craymer and the late Ross Kiddle. Betty will also be sadly missed by nephews Gerald (Agnes) and Bob (Sheila) and by many friends. You gave all of us the wonderful example of living life to the fullest, enjoying the good and braving the difficult times. If desired, memorial donations may be made to Toronto Hospital for SickKids, Oshawa Humane Society or a charity of your choice. Friends will be received for a celebration of Betty's life at MOUNT LAWN RECEPTION CENTRE, 21 Garrard Rd., Whitby (N. of Hwy#2) 905 443-3376 on Thursday, July 14th from 10:00 a.m. until time of memorial service in the Chapel at 11:00 a.m.
- April 13th, 2011. Shipmate Ron Stones. Peacefully crossed the bar in Woodstock. After a courageous battle with cancer, Ronald C. Stones passed away peacefully at Sakura House, Woodstock on April 13, 2011. The only son of Charles and Beatrice (Goodridge) Stones, he is predeceased by his parents and sister Margaret (in infancy). Ron is survived by his devoted wife Lynne Magenty, sons Andrew, Vancouver, Fraser and wife Vladimira, Germany, step-daughter Tammy and husband Cam, Scotland. He also leaves behind seven grandchildren and two great grandchildren, sister-in-law and brother-in-law Cheryl and Willie Moses, along with several nieces and nephews. After serving twenty-five years as an Aircraft Artificer in the Royal navy, mostly on the Ark Royal, Ron immigrated to Canada in 1981. He was an aircraft engineer with Messier Dowty until his retirement in November of 2010. Ron was a member of the British Legion, the R.N.A. the Canadian Legions of Ajax and Stratford where he was member of the colour party. His favourite pastimes were sailing and cruising. As per Ron's wishes, there will be no visitation. Cremation has taken place. A celebration of Ron's life will be held at the Stratford Legion, Branch #8, on Saturday, April 30, 2011 from 2 p.m. until 5 p.m. In lieu of flowers, donations to Sakura House, Woodstock, or the charity of one's choice would be appreciated and may be made through the W.G. Young Funeral Home, 430 Huron St., Stratford. Fair winds and calm seas Ron, R.I.P. - Sunday, April 3rd, 2011. Shipmate Brian "Otis" Hodgson. Crossed the bar. Retired from Otis Elevators, Veteran of Royal Canadian Navy, Royal Navy-Submarine Squadron, proud member of the Oshawa Navy Club. It is with deep sorrow that we announce the unexpected passing of Brian Hodgson in his 73rd year. Son of the late Alec and Ethel Hodgson. Beloved husband of Dorothy for 49 years. Much loved father to Sheri (Frank), Kelly (Neil), Tim (Lori). Cherished Poppa of Krista, Emary, Jake, Jill, Keanan, Kameron and great-poppa to Calista. Fondly remembered by his brothers Wayne (Christine), Glenn (Tanya), and nieces and nephews Paul, Jennifer, Julie, Scott and Michelle. Brian will be sadly missed by all who knew him. A Celebration of Brian’s life will be held at the Oshawa Navy Club, 320 Viola Ave. Oshawa, L1H 3A8 on Sunday May 29th from noon to 4 p.m. In Brian’s memory, please consider a donation to the Heart and Stroke Foundation. Fair winds and calm seas Otis, R.I.P. - Friday, January 21st, 2011. Shipmate John Preston. Viewing, Armstrong Funeral Home, Monday, January 31st from 7:00 PM to 9:00 PM. Memorial Service to be held on Tuesday February 1st at 11:00 AM, in the funeral home chapel. Interment to follow at Thornton Cemetery. Fair winds and calm seas John, R.I.P. - Thursday, January 6th, 2011. Shipmate James Heward. Peacefully at Lakeridge Health Oshawa, with his family by his side. James, a devoted and loving husband of June for 55 years, loving father of Paul and his wife Maureen and dear brother of Mary West of Wales and the late John Heward of Wales. He was a WWII Royal Navy Veteran and a long time member of the Oshawa Navy Club with 50 years of service to Tippet Richardson. James, who was well respected by all, will be sadly missed. Visitation will be held at W.C. TOWN FUNERAL CHAPEL, 110 Dundas Street East, Whitby on Friday January 14th from 12 – 2pm followed immediately by a memorial service. Fair winds and calm seas James, R.I.P. - Thursday, December 9th, 2010. Wendy Johnson, daughter of Shipmates Bob and Sam Perks. Viewing, Armstrong Funeral Home, Tuesday, December 14th from 10:00 AM to 12:00 PM and 7:00 PM to 9:00 PM. Memorial to be held on the Upper Deck of the Oshawa Naval Veterans Club, Wednesday December 15th, time 1200 hours. - Tuesday, November 23rd, 2010. Richard Steel, son of Shipmates Des and Joy Steel. Memorial to be held on the Upper Deck of the Oshawa Naval Veterans Club. Hours 1200 to 1600 hours. - Wednesday, October 6th, 2010. Shipmate Fred Thompson. Fred, Member of The Oshawa Naval Veterans' Club, Royal Canadian Legion Branch #637, Canadian Corps & The Moose Lodge, Age 75 years - Peacefully at Lakeridge Health Oshawa. Fred Thompson, beloved husband of Carol and dear father of Sue (Mark) Bonk; Kathy Brown and Barb (Paul) Shields. Loving Grandfather of Corey, Nathan, Lauren, Jordan, Chelsea and great-grandpa of his "furry friends" Zeiva, Garfi eld & Nemo. A Celebration of Fred's Life will be held at The Oshawa Naval Club, 320 Viola Avenue on Saturday October 16th, 2010 from 1 - 5 pm. Memorial Donations may be made to The Durham Regional Cancer Centre and may be done through THE NORTHCUTT. Fair winds and calm seas Fred, R.I.P. - Thursday, July 29th, 2010. Shipmate Randall Vibert. After a long courageous battle with cancer, Randy passed away peacefully at home on Thursday, July 29, 2010. Randy is survived by his loving wife and friend Michelle Vibert. Beloved father of Chad. Dear grandfather of Zachery. Dear son of Evelyn and the late Leslie Vibert. Beloved brother of Sandra, Wenda, Kenny and Ralph. Sadly missed by his sisters-in-law Karen (Dean, Rory, Cavan), Leslie (Dan), Julie (Tammy, Tracy, Steve, Jim) and mother-in-law Dianne. Forever remembered by his many nieces, nephews, friends and the 647 Legion and Navy Club. Friends may call at MOUNT LAWN RECEPTION CENTRE, 21 Garrard Rd., Whitby (N. of Hwy. 2) 905-443-3376 on Monday, August 2nd, from 2-4 and 7-9 p.m and Tuesday, August 3rd from 2-4 and 7-9 p.m. Funeral service in our chapel on Wednesday, August 4th at 3:00 p.m. Interment Mount Lawn Memorial Gardens. Fair winds and calm seas Randy, R.I.P. This page was created July 1st, 2010. All Shipmates whom have crossed the bar, have their names permanently engraved on a memorial located on the Nautical Deck of the Oshawa Naval Veterans' Club.